Serbian businessman Stanko Subotic, a close friend of the most powerful man in Montenegro, Prime Minister Milo Djukanovic, planned to turn the small coastal city into the next Monte Carlo. But crime, cigarettes, greed and bad luck got in the way. On the night of March 9, 2007, it all came together for Stanko Subotic. The setting was his Villa Montenegro boutique hotel in the tourist mecca of St. Stefan on the Adriatic coast. His guests included the most powerful man in Montenegro, Prime Minister Milo Djukanovic, as well as Svetozar Marovic, former President of the joint state of Serbia and Montenegro. They sipped glasses of Subotic’s own premium Louis Max wine in the hotel, set on a hill overlooking the sea with exceptional views of the jewel-box resort island of St. Stefan. 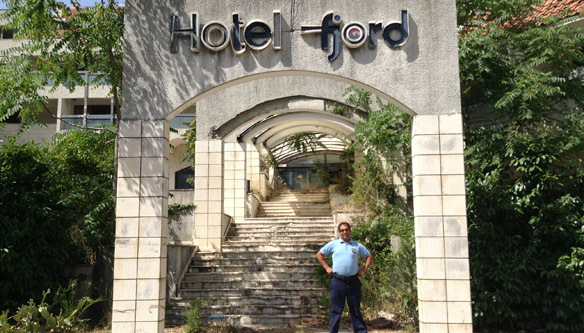 The party was to celebrate an award won by the 54-year-old Serbian businessman’s hotel. To Subotic, it was a welcome milepost in his billion-dollar plan to transform a picturesque stretch of coastline in the former Yugoslav Republic into the new Monaco. On that night it all seemed possible: Subotic’s dream of a stunning tourism, commercial and national success was close enough to touch. The grandiose plan would have made him fabulously rich but instead it was upended by world and personal events and its failure set up a chain reaction that left the people of Montenegro with a bill they are still paying. The Villa Montenegro made local headlines that year when it became the first and only Montenegrin hotel to win the Five Star Diamond award of the American Academy of Hospitality Sciences (AAHS). The award was not quite all it seemed. Its sponsoring organization, the AAHS, is a public relations and lobbying group that helps promote hotel properties. But in Montenegro, it helped bolster Subotic’s reputation as an up-and-coming entrepreneur in the tourism field. The country is a fragment of the former Yugoslavia the size of the US state of Connecticut with a population of about 620,000. It lies across the Adriatic Sea from the heel of Italy’s boot. 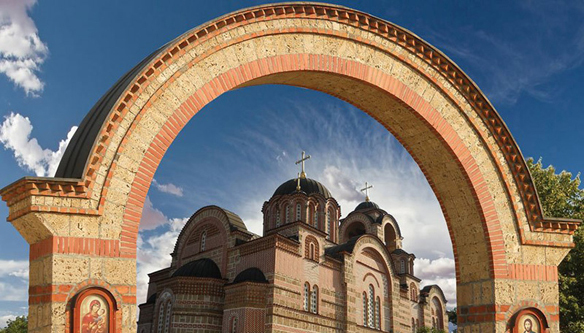 While its biggest city is the capital, Podgorica, its tourism business is centered on several ancient towns on the seacoast. 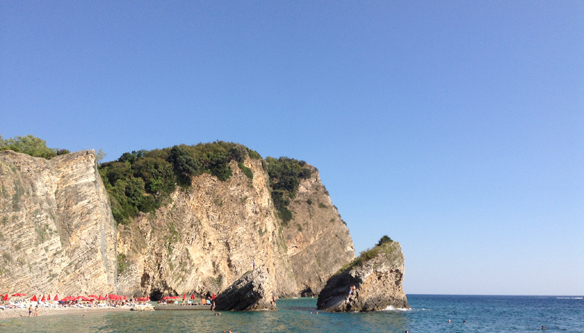 The country’s tourism capital is Budva, a town of fewer than 20,000 that predates the Roman Empire. Four miles down the coast lies the even tinier town of St. Stefan, once the haunt of Hollywood royalty like Sophia Loren, Richard Burton and Elizabeth Taylor. Budva and St. Stefan share certain characteristics: beautiful situations on the Adriatic Sea, exquisite islands lying just offshore, and a proven track record of attracting well-heeled tourists. Subotic had big plans for both of them. Born into a working-class family in the Serbian village of Kalinovac, Subotic worked in his father’s carpentry business before moving to France to work as a tailor. By the time Yugoslavia broke apart, he was home and investing in textiles. He made his fortune in the mid-1990s in duty-free shops he opened on the border between Serbia and Macedonia. He became the exclusive distributor of major cigarette brands including Philip Morris and British American Tobacco. In 1997 he relocated his business to Montenegro, then under an UN-imposed trade embargo, and became friendly with Djukanovic and Marovic, who have essentially controlled Montenegrin politics for the past two decades. There were others interested in the cigarette business at that time. Two Italian organized crime syndicates, the Neapolitan Camorra and the Sacra Corona Unita (United Sacred Crown, from the Apulia region in Italy’s southeast), also set up operations in Montenegro. And it was big business. At the time, cigarette smuggling was endemic in the Balkans. Most nights, dozens of large speedboats crammed with cigarettes made the two-hour crossing from Montenegro to Italy, where the syndicates sold the untaxed cigarettes on the Italian black market. According to Ratko Knezevic, a former associate of Djukanovic, the Montenegrin government gained as much as $700 million annually from cigarette smuggling by the end of the 1990s. Prosecutors believed Subotic helped the Italian criminals smuggle cigarettes and both he and Djukanovic were charged with smuggling in 2008. The following year, Italian authorities dropped the charges against Djukanovic, noting that he had diplomatic immunity. Subotic was acquitted in 2013 in the Italian case, but continues to face charges in Serbia connected to smuggling. A main line of defense for the accused was that the illicit cigarette trade took root during the three-year economic blockade of Serbia and Montenegro, stemming from ethnic unrest in Kosovo. Djukanovic consistently told investigators that smuggled cigarettes helped his countrymen survive, and that he had not benefitted personally from his country’s part in the illicit trade. 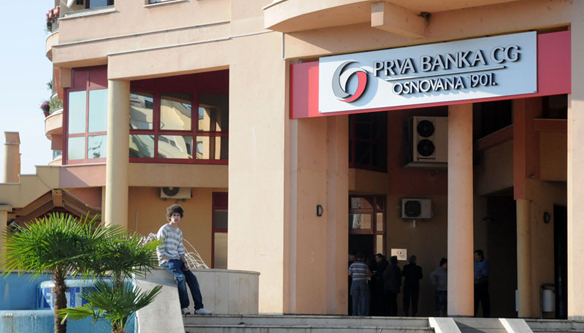 In November 2006, four months before the glittering party at the Villa Montenegro, Djukanovic’s brother Aco had privatized a small bank in his home town of Niksic. He paid a fraction of its worth, €2.3 million (US$3.1 million), and named it First Bank. Soon after, local, state and national government authorities began pouring in nearly €100 million (US$133 million), making First Bank one of the country’s biggest. As public money rolled in, the brothers’ friends, partners and business associates started to form companies that let them dip into the windfall. They formed new companies that despite having no history got huge, often unsecured loans with favorable terms that they used to buy up valuable coastal real estate. Subotic was among those who benefitted the most. In December 2006, a month after the bank began churning out loans, Subotic launched what would be a yearlong burst of development activity. It began with the formation of Samuelson Corporation, a real-estate investment company based in the Seychelles, off the coast of Africa. This tiny island state in the Indian Ocean is often used to hide ownership and evade taxes and is among the most opaque and secretive tax havens in the world, according to the 2013 Financial Secrecy Index. Shareholders don’t report their identity to anyone, not even local authorities. However, other evidence indicates that the company was owned by Stanko Subotic. Two months later, on Feb. 5, 2007, Subotic through a subsidiary received a €2.2 million (US$2.85 million) loan from the Djukanovics’ bank. It was used to buy 6,300 square meters of land – a plot nearly the size of a standard football pitch – in St. Stefan close to his Villa Montenegro. The highly unusual four-year loan with a 12-month grace period went to San Investments, Samuelson’s local fully owned subsidiary, which was incorporated just 11 days before the loan was made. Subotic announced he was planning to build a six-star hotel worth €20 million (US$26.6 million) on the new plot of land. With a steady supply of funds from First Bank, Subotic’s land-buying spree continued. But this time his focus was about four miles to the northwest: the lovely and largely uninhabited island of St. Nikola, which lies a kilometer off the coast of Budva. Locals call it the Montenegrin Hawaii because of its three fine sand beaches, dramatic cliffs and flocks of rare birds. In March 2007, San Investments signed a contract to buy three connected plots of land on St. Nikola. The company gained full title to a plot of 7,000 square meters (the size of a standard football pitch), and a one-third share in two plots totaling more than 90,000 square meters. For this, San Investments agreed to pay a total of €24 million (US$ 32 million) — €3 million by April, and the remaining €21 million by May. The seller was Nenad Djordjevic, a Serbian businessman who had bought the land in 2001 from local residents for US$ 216,750. He built a dock, an artificial beach, and began building a hotel complex all without permits. He decided to sell the land after years of failing to get the required paperwork from local authorities controlled by Marovic. Despite the contractual obligation to pay the full amount in less than two months from the date of purchase, it took Subotic until December to actually pay for the land and register the new ownership. In April 2007 the Samuelson Corporation, San Investment’s Seychelles owner at the time, wired €3 million as a loan in time for the first payment. It is not clear how the second installment of €21 million was paid, but Subotic’s companies took out loans of €19 million from First Bank between April and December. In May, Subotic threw another gala at his Villa. This time Djukanovic and Marovic were joined by another special guest: French architect Jean-Michel Wilmotte. Documents from various agencies and press statements make it clear that Serbian businessman Stanko Subotic was almost certainly the owner of Samuelson Corporation, San Investments and Adriatic Investments, three of the companies that have featured in First Bank loans and coastal development. There is no available company registration record showing Subotic owns Samuelson because the company is registered in the very secret offshore haven of the Seychelles. San Investments is registered in Budva and is fully owned by Samuelson. However, according to an audit report commissioned by the Central Bank of Montenegro which had access to the real owners of bank accounts, the auditors considered the owners of three bank accounts at First Bank to be the same party: San Investments, Adriatic Investments and Futura Monte. Futura Monte is known to be owned by Subotic. Thus San Investments and its parent Samuelson would also have to owned as well by Subotic. In fact, all three companies shared the same account number and guaranteed each other loans. Subotic has made public statements that he controlled some of the projects the companies have been involved in and the media regularly considered him the owner of San Investments which he has never denied. Wilmotte unveiled his plans for a super resort with hotels, casinos and apartments, two marinas for yachts and a pedestrian causeway connecting the island with Budva’s old town. 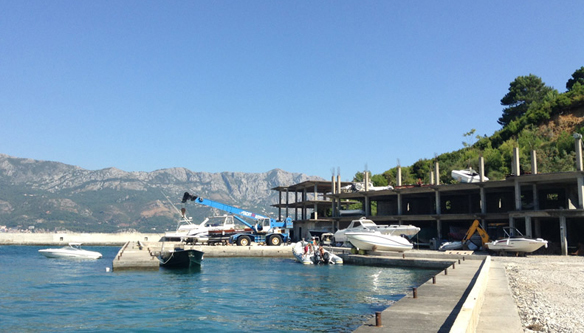 “This marina will outshine all the marinas in the Mediterranean,” Wilmotte, who has designed marinas in Cannes, Nice and Shanghai, told the Montenegrin daily Vijesti. “I saw the project and I liked it,” Djukanovic said in an interview with local IN television. That kind of support prompted local authorities to change their own master plan, the document that maps out what a city will look like in the future, so it would accommodate the grandiose design. Again it appeared as if the audacious plan to make Budva a new Monte Carlo, and Montenegro a new Monaco, was going to happen. Subotic’s efforts were similar to a well-tested Montenegrin model for accumulating massive wealth in a short period of time. In that model, a person starts a new company that purchases land through favorable loans from a friendly bank with deferred interest and lump sum payments due later and with no or inadequate collateral. Then they seek other developers to buy or invest in the projects and use that money to pay off the loans before interest was due. If the deal went well they could make a very good profit without using any of their own money. But if it went bad, the company, like so many others at First Bank, would go bankrupt and they could walk away leaving the bank with the bill. But for the plan to work an investor with deep pockets had to be found. But then, just months into Subotic’s development spree, the past came calling. On June 20, 2007, the Serbian Special Prosecutor’s Office for Organized Crime issued an international arrest warrant describing Subotic as the leader of an organized crime group which smuggled and illegally sold cigarettes between 1995 and 1996. Prosecutors say the scheme cost Serbia €40 million (US$ 55 million) in lost tax revenue during that period. Two weeks later, Subotic was a wanted man in most of the world’s countries after Interpol published a Red Notice alert asking member nations to arrest and extradite him to Serbia. Subotic said the charges were false and politically motivated. Prosecutors eventually charged him with abuse of office of a private company, an outdated charge seldom used since the socialist era. They say he misused his position to allow his company to smuggle cigarettes and was convicted and sentenced to six years. However, a higher court ordered a retrial which is ongoing. Subotic at the time was living in Switzerland and attempts by Serbian authorities to extradite him failed. Serbian authorities later claimed he was traveling often in Montenegro, but that country’s police and intelligence authorities said they had no idea where he was. Business, however, proceeded as usual. One day after the arrest warrant was issued, the Samuelson Corporation wired €250,000 (US$ 335,500) to San Investments account at First Bank. It was a loan, according to the records. By the end of August four more loans totaling €8.4 million (US$ 11.35 million) came into the account, for a total of €11 million (US$ 14.77 million). Records do not reveal how much of that stayed in the bank or if some or all of it was used to pay for the island. With no earnings, millions in debt and its owner on the run, San Investments needed still more money. Subotic turned to his old friends again. On Oct. 11, 2007, the Djukanovics’ bank approved two short-term loans totaling €4.7 million (US$ 6.68 million) to San Investments. Subotic was indicted on Dec. 5—but despite that on Dec. 31 the bank approved yet another loan of €5.4 million (US$ 7.8 million) to San Investments. San Investments ended the year €37 million (US$ 54 million) in debt, according to its financial statements. It also had acquired assets worth €33.7 million (US$ 49.2 million). On Jan. 14, 2008 San Investments engaged in a swap with the other co-owners of the 90,000-square-meter tract on St. Nikola. When it was completed, San Investments held full title to more than 37,000 square meters of the best property on the island. On the same day, San Investments signed a mortgage agreement for the island with First Bank totaling €19.2 million (US$ 28.7 million). The mortgage included two additional loans worth €9.1 million (US$ 13.5 million) for his other two companies – Futura Monte, which ran a chain of kiosks, and Adriatic Investments, a holding company. It took less than a year for Subotic and his companies to become one of the bank’s largest debtors. The risky lending caught the attention of the Central Bank of Montenegro, which regulates banks. And things started to unravel fast.